Dogs make great running partners. Even small dogs can do it! If you’re new to running, or just getting back to it from an extended break, a 5k (3.1 miles) is a good goal. Your dog can help you get there. They’ll help you get out the door when your motivation is low and they can help keep you going when you feel like stopping. If you’re going to train for a race with your dog, why not run the race with them too? I knew of a couple runs in the Seattle area that were dog friendly but I decided to see if I could find more. Five hours, and over 40 runs later, I poked my head out of the rabbit hole. Whew! Researching dog-friendly runs felt like a marathon it itself! I had no idea there were so many races in Western Washington that allow dogs. I thought I would save you the same trouble and list all of the races in and around Seattle that I found. All of the races listed say they are dog friendly on their website. You should be safe just showing up at any of these events with your dog. However, as with “dog friendly” restaurants, rules can change. I can’t control if they change the rules so please don’t sue me or beat me up if they do. If you want to double check as it gets closer to race day, the FAQ page is usually the best place to start. Be aware that while running a race is a special bonding experience, it may also prohibit you from enjoying the event to it’s fullest. Some events have a festival or beer garden after and dogs may or may not be allowed inside. If it was noted on the website that they are not, I included that detail. Just keep in mind that not all of the races may have listed that information. Please remember that these events are really busy and crowded. Don’t bring your dog if they are very fearful, not ok around crowds of stomping feet, or not ok with strangers petting them. Neither you nor your pup will have a good time. Every race I researched requires that your dog be on a 6 ft leash, maximum, and that you clean up after your dog. That’s right… be prepared to carry those poop bags to the next trash can. All dog friendly races stated that owners are responsible for the well-being and safety of their dog(s) at all times. Most races I researched asked that runners with dogs begin toward the back of the starting-line crowd. The rules didn’t say that you had to STAY in the back once you got running though. Be prepared that you and your dog might be passing and weaving in and out of people most of the race. While not every event listed these, other common rules for bringing your dog to races are: All dogs should be current on vaccinations ; No female dogs in heat; No dogs under six months of age, No aggressive dogs; and No more than two dogs per person. Some of the events listed are runs, some are walks, and almost all let you choose whether you want to run or walk. A lot of them are fundraisers so you’ll be doing some good while getting your and your pooch’s blood pumping. I didn’t list the charities benefiting here. Please check the website listed for that information. I listed 2016 dates when possible. Some events haven’t published their 2016 dates yet so I listed the 2015 date. I did this so you would know approximately what date of the month the event is being held. Please check the website listed for accurate dates. People and pets dress up for this run. Now you can even officially sign your dog up! Add them on to your registration for $15 and your furry friend will get their very own bandana and collapsible water bowl. In addition, the Kirkland Shamrock Run will donate $1 to the non-profit Canine Companions for Independence. Run in your Pajamas! Please make sure your furry friend plays well with others and stays in the back of the group, in the last wave. Leashes and clean-up are required at all times. In this 5k fun run, participants get “painted” with colored powder at multiple course locations. The photos show it being sprayed on people as they run by. Make sure your dog is prepared for that or avoid the paint if you can. There will be a crap-load of Seahawks costumes at this race. Costumes are not required though. It’s not really a run. Or it could be. It’s the only obstacle “race” you can do with your dog. The Muddy Mutt is an ALL-INCLUSIVE event. All sizes, shapes, ages, energy, and fitness levels of dogs (and humans!) welcome. You can stroll, walk, or run around the course going through the obstacles of your choice, or simply hang out on the course to watch the fun and visit with other Muddy Mutt-ers. YOU decide what you want to do and when! All obstacles and mud are optional. There is a taco truck at the end. Whoo-hoo. There is a beer garden but the website says dogs are not allowed in that area. I’m not even 100% sure the taco trucks will be accessible to people with dogs. Bring a snack just in case so you don’t get hangry. This run/walk is on a flat-course along the waterfront to benefit Old Dog Haven. Please note that this is an UNOFFICIAL run/walk & will not be timed. Dogs must be registered to run this race ($15) with their people. Owners accompanied by dogs without bibs will be removed from the course at the 1 mile mark by race officials. After the run, stay and enjoy the Bonney Lake Days festival with tons of vendors, food, entertainment, and live music! Run is at 9:00am and Walk starts at 10:00am. Uh…. there are brownies, chocolate chip cookies, and a wine and mimosa garden at the end! It’s unclear whether dogs will be allowed inside the “garden” so you may want to arrange to have a friend grab a brownie for you. This is technically a walk but you can run it if you want. Expect to be weaving in and out of the crowd. 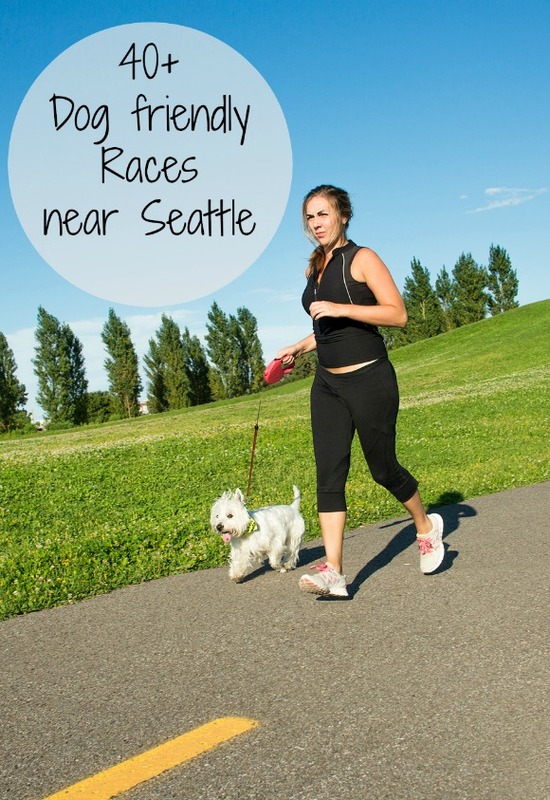 There is a longer distance at this event but only the 5k & 1-mile are dog friendly. It’s only the biggest, baddest, hairiest running series on the planet. NBD. It’s a mustache-themed run that’s a little bit Freddie Mercury and a little bit Ron Swanson. As a bonus, here are some trail races that are probably harder than almost any dog can do. Because there might be some crazies (people and dogs) out there, I am including them anyway. Dogs are also not allowed in any of the communal bunkhouses (at Deception Pass, and/or Orcas Island), or inside enclosed areas where we’re serving food (the main lodge at Orcas, and the main post-race food area at Deception Pass, for examples). Per our race policies, your dog can get you disqualified if it’s somewhere it isn’t supposed to be, and/or if it’s off-leash and/or not well-behaved on-leash. We dig animals, and we’re certain your dog is the best dog on the planet, but your dog(s) shouldn’t be bothering anyone on race-day, period. And they definitely shouldn’t be creating unsafe conditions out there for any runners. Excellent information and so many to choose from. 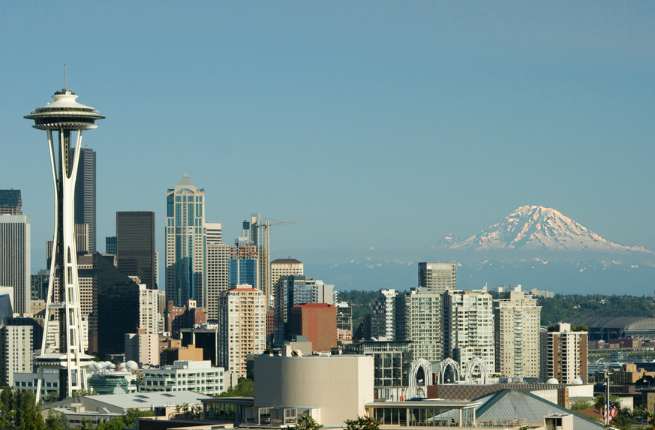 Now that is a great list and we live in Seattle too. We’ll be passing this on to friends. Great! Hope you find one or two of these that you want to do. You are fantastic! Thanks for updating the 2016 dates, this is great. Thanks William. I didn’t realize there was a Dawg Dash for different campuses. I’ll be sure to add them.